One of California's best known beach cities is the one and only Malibu. Home to some of the most dazzling beaches in the country and lavish mansions, this city is the epitome of a dream California beach life! There is nothing quite like taking a cruise down Pacific Coast Highway during a summer evening. The silhouetted palm tress against the colorful sunset and the salty air blowing through your tresses makes you never want to leave. What's more perfect than laying out on a gorgeous beach, sipping on your favorite drink and watching hotties surf all day long? Not much, really! I tried to go for something mermaid-ish and beachy looking, and this was the result! Malibu was originally settled by the Chumash, Native American settlers. The name "Malibu" was derived from the Native American word "Humaliwo" which means "the surf sounds loudly." The median home cost in Malibu is $1,315,800. Home appreciation the last year has been 1.27 percent and compared to the rest of the country, Malibu's cost of living is 231.20% Higher than the U.S. average. Malibu has 21 miles of coastline. Malibu has been used as a location or setting for many films, television programs and music videos. 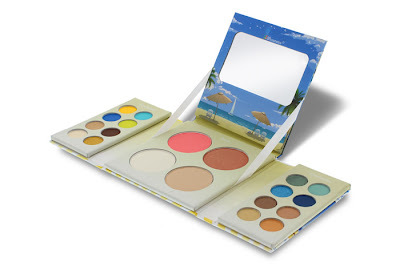 Just like the Hollywood Palette, the BH Cosmetics Malibu Palette comes in a compact case with two sides of eyeshadows and four cheeks colors all in coordination with the colorful beachfront town. The palette is adorned with palm trees, sunny skies, and of course, the beach! You get loads of bright and tropical shades, as well and some more wearable sandy warm eyeshadows. You get a great mixture of matte, shimmer and glitter. The possibilities are endless with this palette. You can go for a bold and colorful look as I did, and even have your everyday colors all in one handy case! 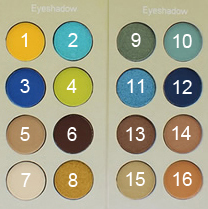 Eyeshadow swatches applied over Lime Crime Eyeshadow Helper, two layers. Just like the previous palette, these shadows are surely pigmented and smooth. I love that the longevity of these are so great, especially when used with a quality primer. The matte shades are a tiny bit powdery and not as pigmented as the more shimmery shades, however. On the left side of the palette you get a matte sunset yellow, a shimmery turquoise, a matte medium ocean blue, a matte lime green, a light shimmery beige, a deep matte cocoa brown, a matte vanilla, and a shimmery gold. On the right you get a lovely shimmery mossy green, a matte sea foam green, a glittery deeper turquoise/teal, a matte navy blue, a shimmery bronze, a lighter shimmery bronze, a light shimmering sand color, and a matte rusty orange. For cheek colors, the palette comes with a stunning matte coral blush that I have been wearing non-stop. It's insanely pigmented and oh so pretty! 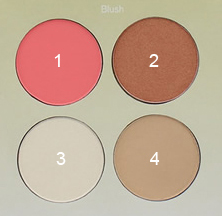 You also get another blush that can double as bronzer if you're fair like me because of it's deep, orange/bronze hues. If you have a deeper skin tone, it would look amazing as a glowing blush or highlight! There are also two highlighting shades, one is a light golden shimmery color, and the other is very similar, though deeper in color. It appears a lot darker in the pan, but swatches very sheer. As you can see from the photos and swatches, these for the most part are extremely pigmented, smooth and easy to blend and work with, which is great for the very affordable price that BH Cosmetics offers. For $9.95 USD, you get 16 eyeshadows, 4 cheeks colors, a handy mirror, cute packaging, and and endless combination of beautiful looks. 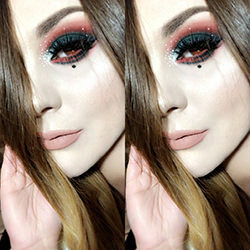 Check out www.bhcosmetics.com for this palette and much more. I really love this brand! I hope you all enjoyed the look and review! Up next is the San Francisco palette. I love those lighter colours, the slightly darker one would make a great contourer I reckon for my pale skin. I love all you looks! LOL! They are so great for their price. Precioso el look y los colores, parece una marca interesante. Besiños. Another gorgeous look! This palette is also a winner.